These days even panic buttons are getting a high-tech make over. Now they are called mobile personal emergency response service (MPERS) and include GPS locators, accelerometers which automatically detect falls, and instant connections to emergency services whether or not the person is conscious. One of the latest and smartest entrants in the market is Lifecomm which recently debuted a trio of new MPERS. Due on sale in the US in second quarter and using the Verizon data Network are a wristwatch, a pendant, and a belt clip. They act as a panic button, with the user able to talk to a dedicated emergency line. If the system notes a fall assistance comes quickly to the scene. 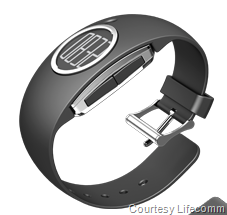 The device is monitored by Lifecomm staff who also contact relatives and friends and alert them of any difficulties. They can also track movement too displaying the information on a website for relatives and health care professional to see. Other features of the devices include a rechargeable battery and a base station charger.